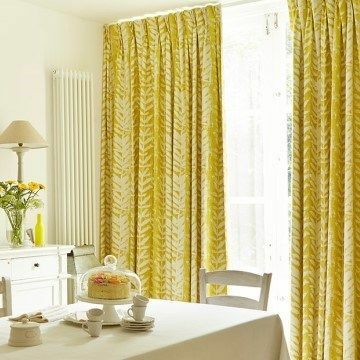 Give your home a sunny makeover with yellow curtains from our range. Choose from a huge selection of plain, textured and patterned fabrics and find the perfect match for your home and décor. Whether you prefer pretty primrose or opulent ochre, you’re sure to find a style that’s just right. As well as finding your favourite fabric, we’ve got lots of accessories to help you finish your look. Choose from a range of curtain poles and finials, tie-backs, cushion covers and performance linings and give your rooms a real wow factor. Your advisor is on-hand to offer friendly, expert advice on the best options for your windows. 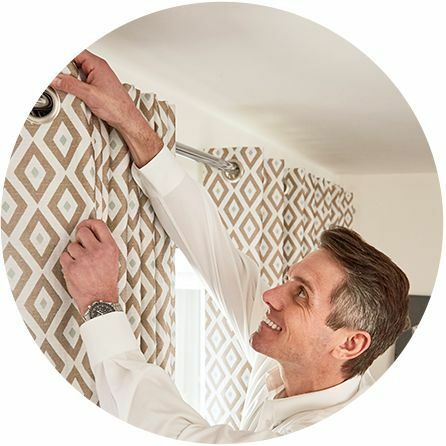 Together we’ll help you decide on the best length for your curtains, as well as the perfect position for your curtain pole. 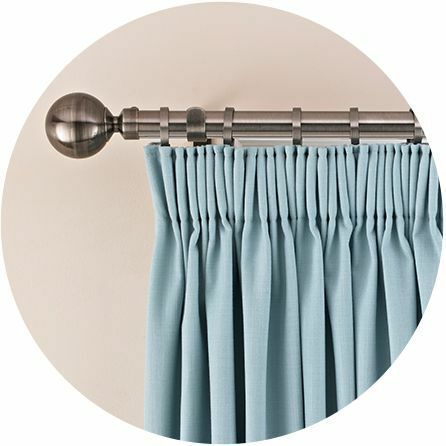 We can even advise you on the best header styles for different types of curtain fabrics. And when you’re totally happy with your selections we’ll measure your windows and professionally fit your finished made-to-measure curtains just the way you want them.